Americans spend 90% of our time indoors, much of that at work. Take a deep breath. Is this the air you want your employees to breathe at work? The air you want to breathe at work? Green buildings can help you create greener, healthier spaces that are good for your employees and your bottom line. Sheet Metal Workers Local 36 save on utilities: Sheet Metal Workers Local 36 moved into their LEED Platinum building in late 2011. Their utility costs have been consistently less than the two buildings they previously occupied, even though the new building is much larger. Earning and maintaining your LEED credential and being involved in the green building movement through USGBC-Missouri Gateway will help you keep your edge at work. Amanda, a USGBC-Missouri Gateway member, was recently invited to join a non-profit board because of a connection she made at an Emerging Professional service project. Erik, a board member, believes that earning his LEED professional credential gave him the advantage in landing his current job. The network you build and the knowledge you gain through involvement helps you build connections, stay connected, and gain exposure through our volunteer opportunities, Green Building Experts recognition, and more. What can you do to create greener work spaces? 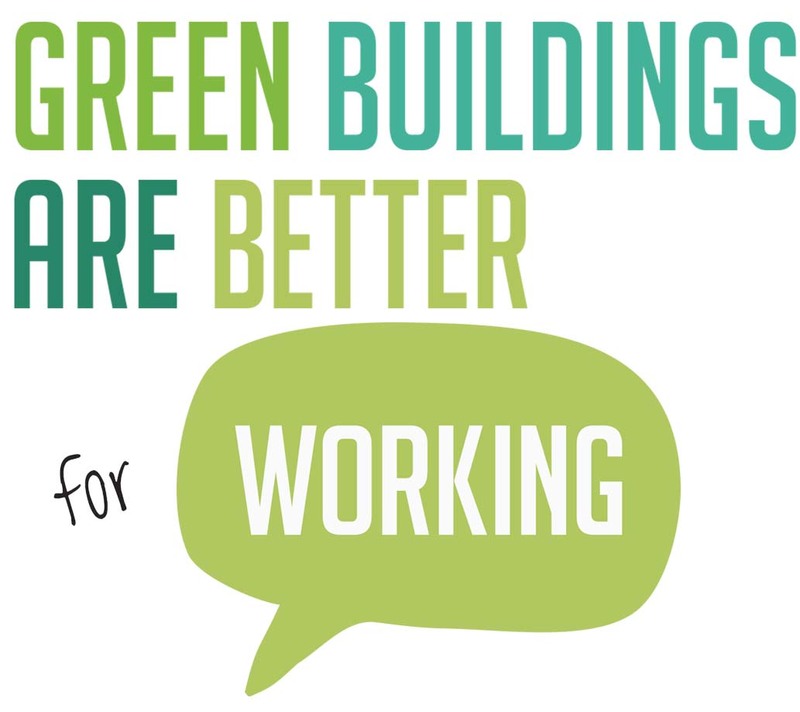 Attend an educational program and learn more about how green buildings are better for working. Take the 25×20 Pledge and benchmark your building energy use to see where you can save money! Become a member and join our growing network of people who believe that green buildings are better. Learn about green building best practices – check out some local case studies and project profiles. Sponsor USGBC-Missouri Gateway or make a donation and help us champion green building for another 15 years! Thinking of pursuing LEED? It can be for new construction or operations and maintenance. Learn more at usgbc.org/leed. Not ready for LEED? Start putting green operational practices into place with the St. Louis Green Building Challenge. Volunteer with us and gain knowledge and recognition. 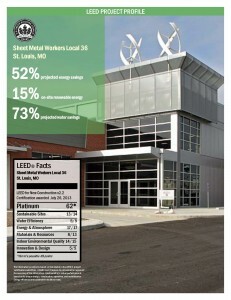 Learn more about the Sheet Metal Workers Local 36 and Alberici in their LEED Project Profiles!